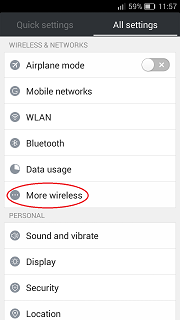 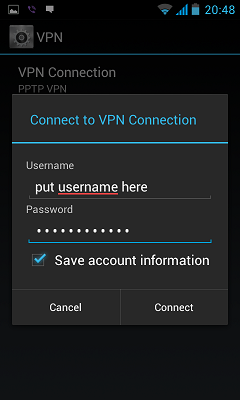 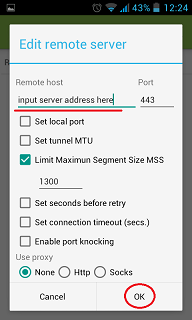 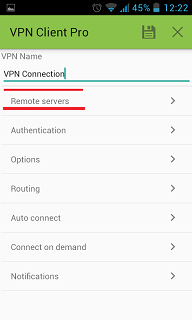 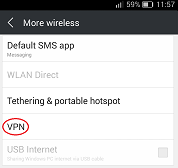 To make a new vpn connection on your Android device you need to follow the next instructions. 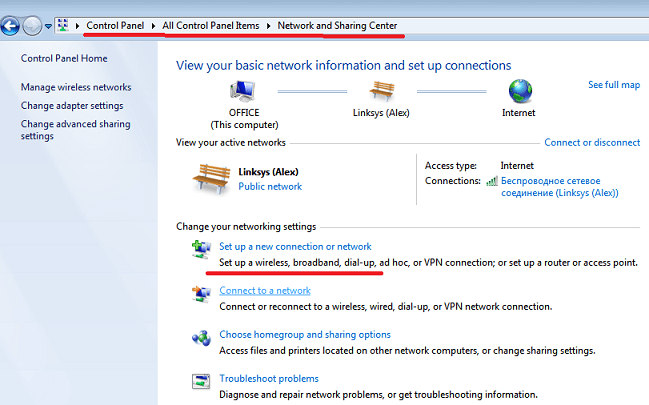 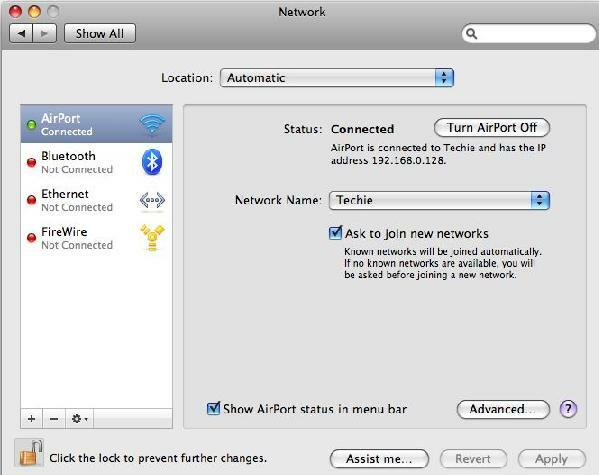 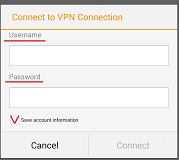 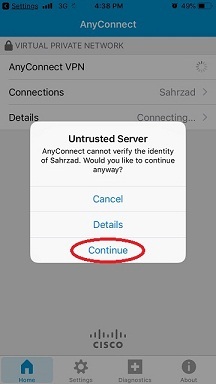 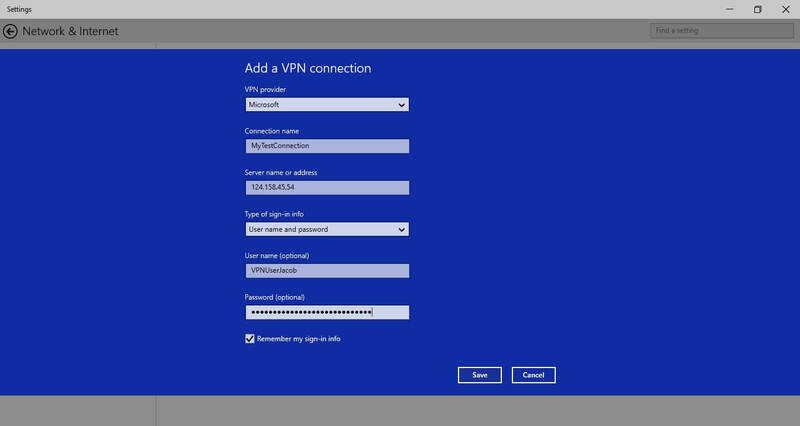 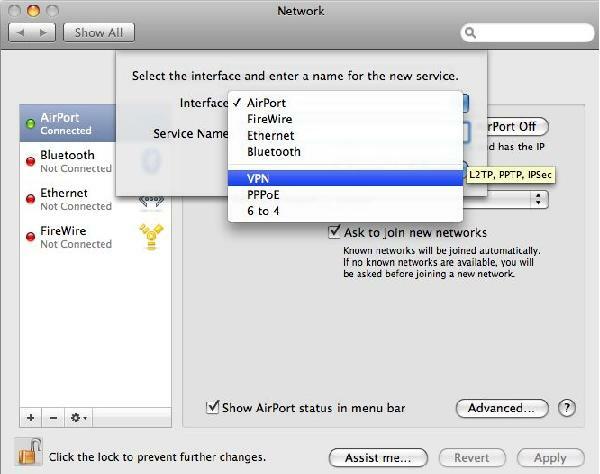 Input connection name (AeroShield), select the type of your VPN connection – PPTP VPN, input VPN server address from your account data. 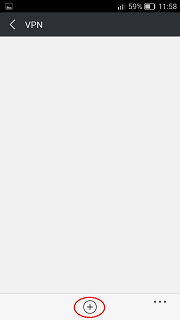 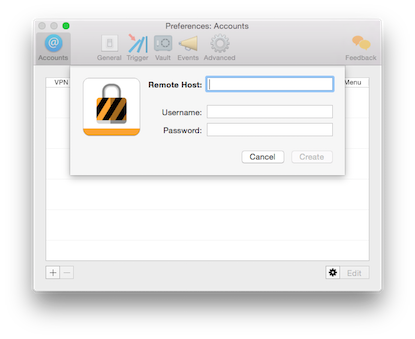 Input your Username and password that you received from AeroShield service in e-mail. 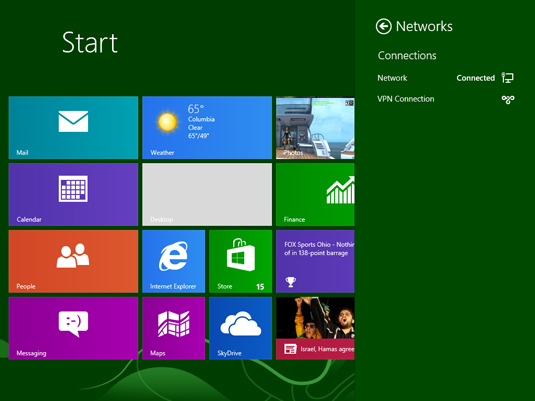 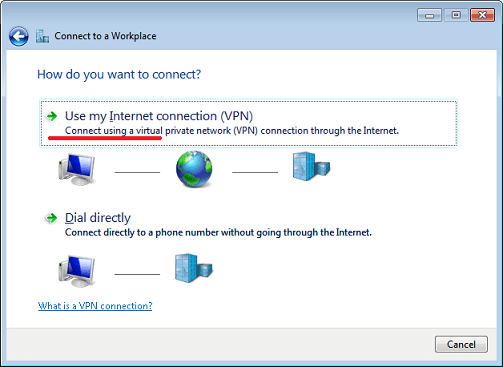 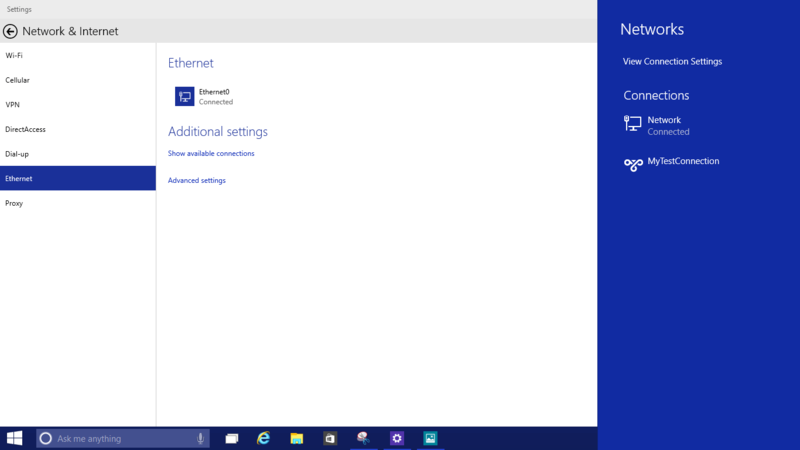 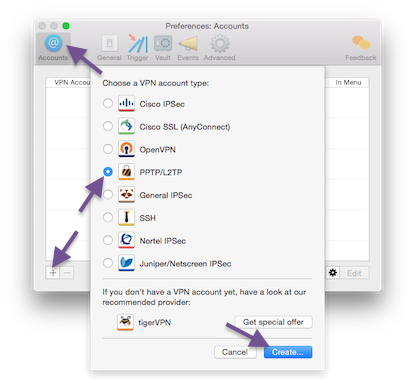 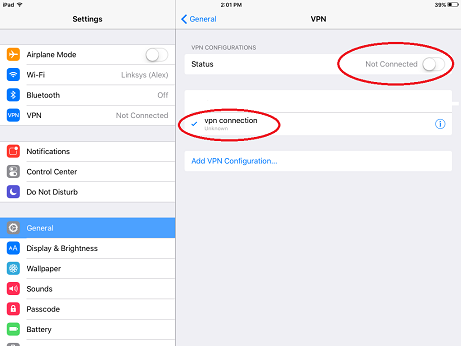 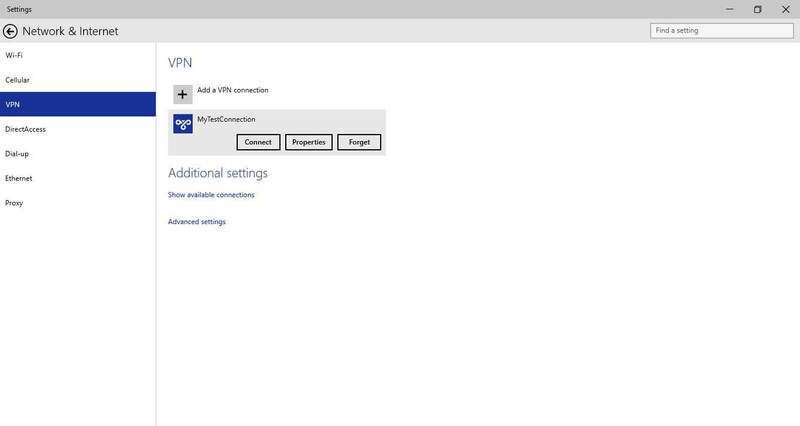 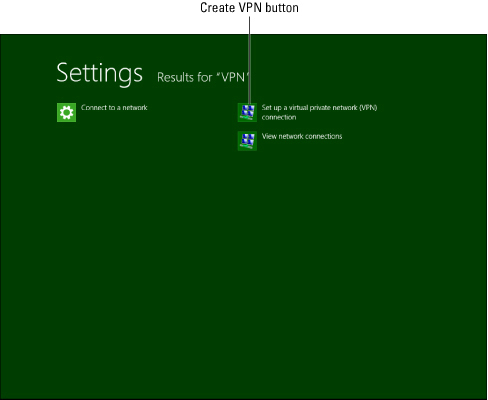 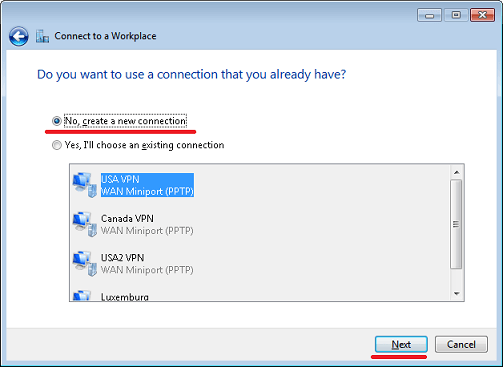 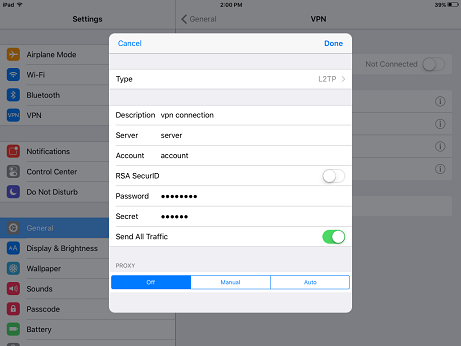 Select VPN From the interface drop down. 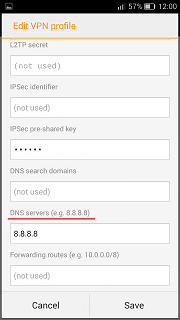 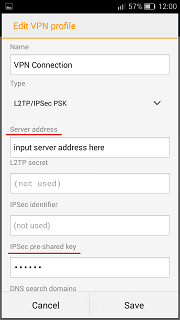 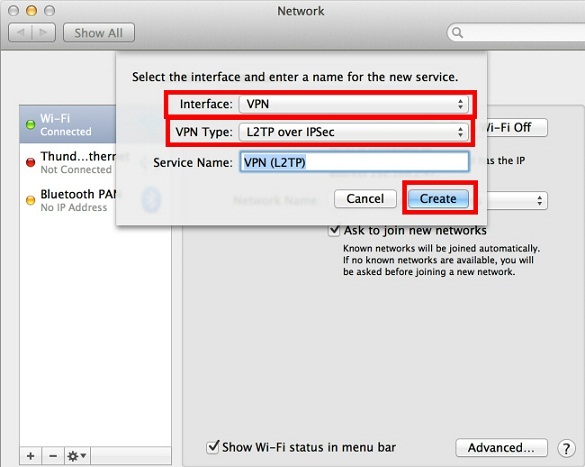 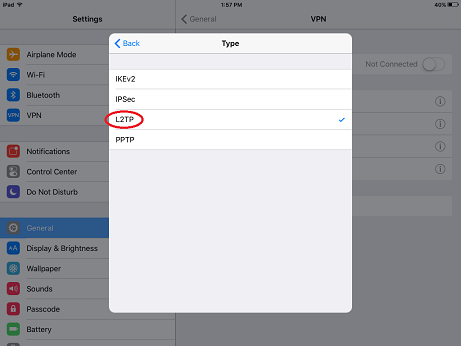 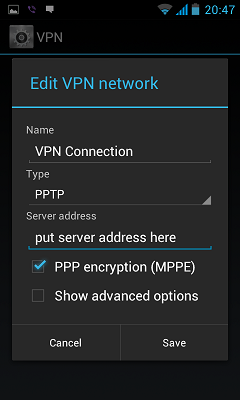 Select ‘L2TP over IPSec’ from the VPN Type drop down and input ‘Service name’ VPN (L2TP) for example. Enter the Server Address and your username. 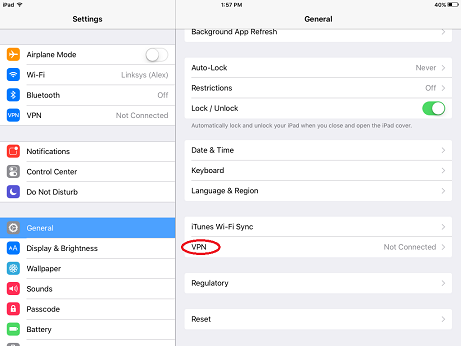 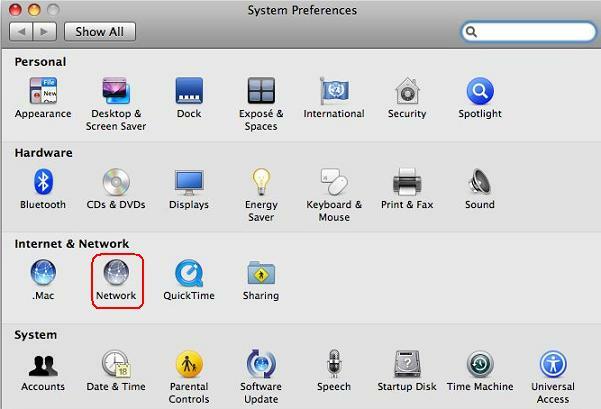 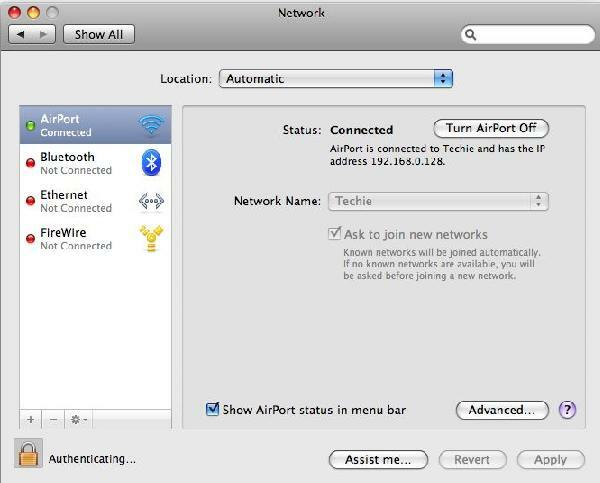 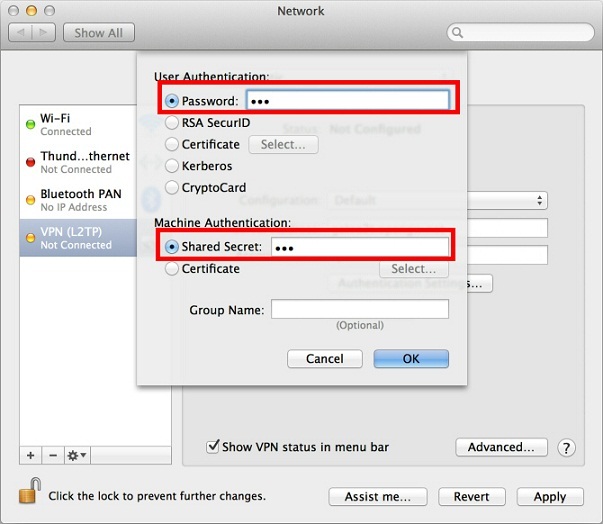 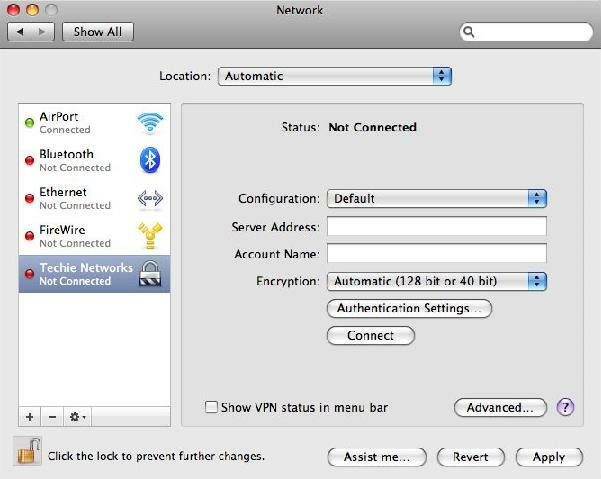 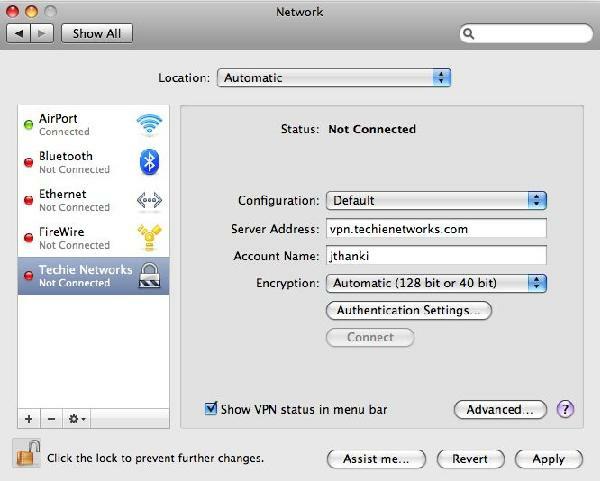 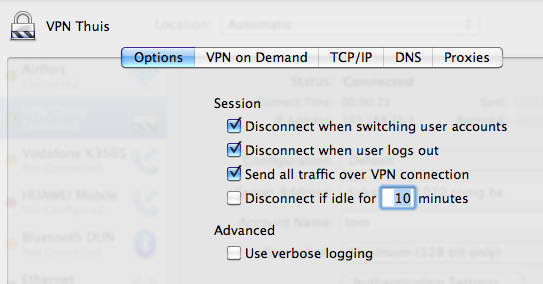 Also check the box that says Show VPN status in menu bar. 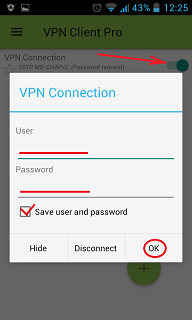 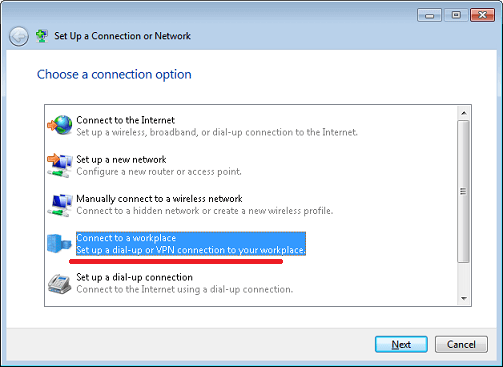 Click Advanced button and tick ‘Send all traffic over VPN connection’. 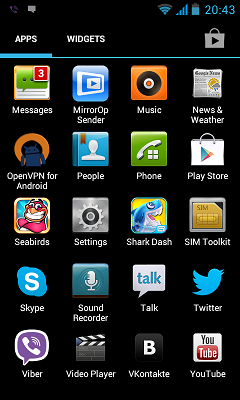 Almost done. 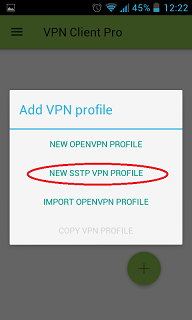 Click the Apply button to save the changes. 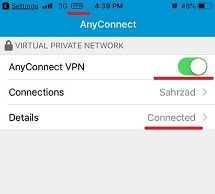 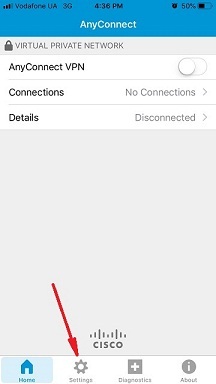 You can start a new VPN connection by clicking the “Connect” button at any time. 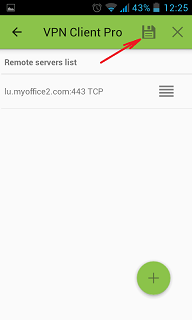 If you would like to save these data (if you are doing this from home for example) check Remember my sign-in infocheckbox at the bottom, and click Save. 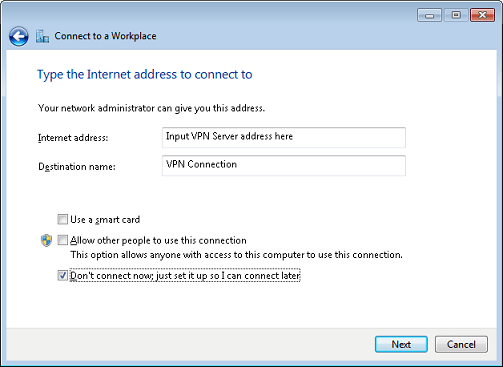 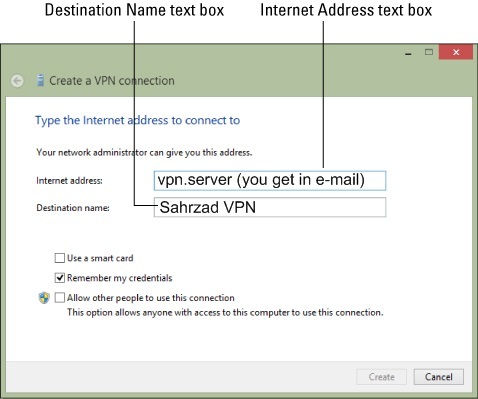 Input VPN server address from your account data into “Internet Address” text box. 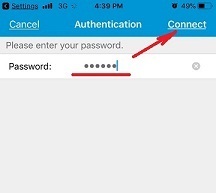 Please be carefully – don’t use any additional symbols like spaces, http://, www, / …etc in the server address.Input “Destination Name”. 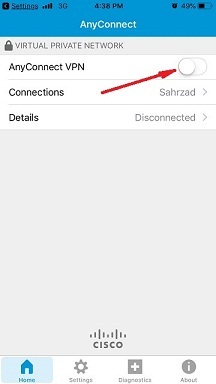 It’s just a name of your connection. 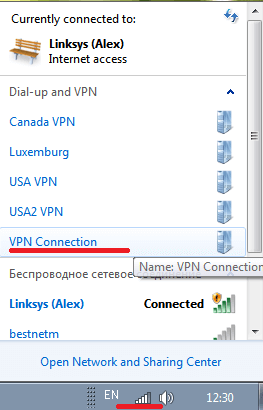 For example it can be “VPN Connection”. 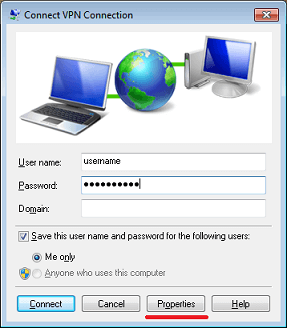 Input your Username and Password. 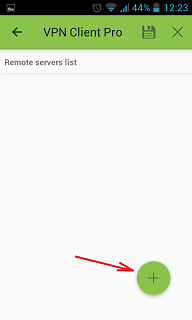 All the letters should be small! 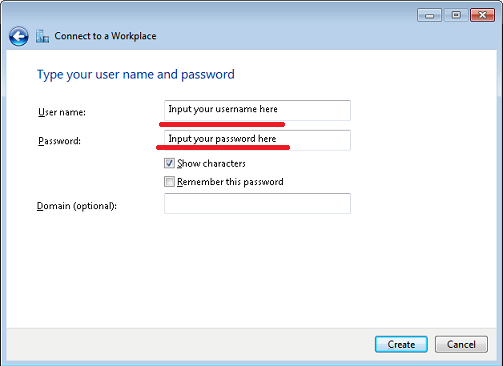 Click “Create” button and and then Close the window. 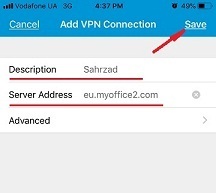 Click on your Internet connection icon in the right bottom corner (it can be WiFi or Cable icon) and you will see your VPN Connection. 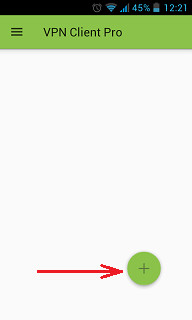 Click twice on it. 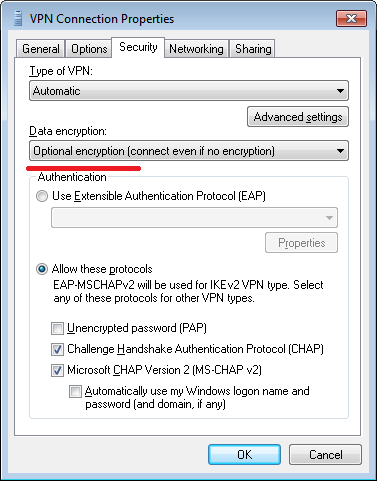 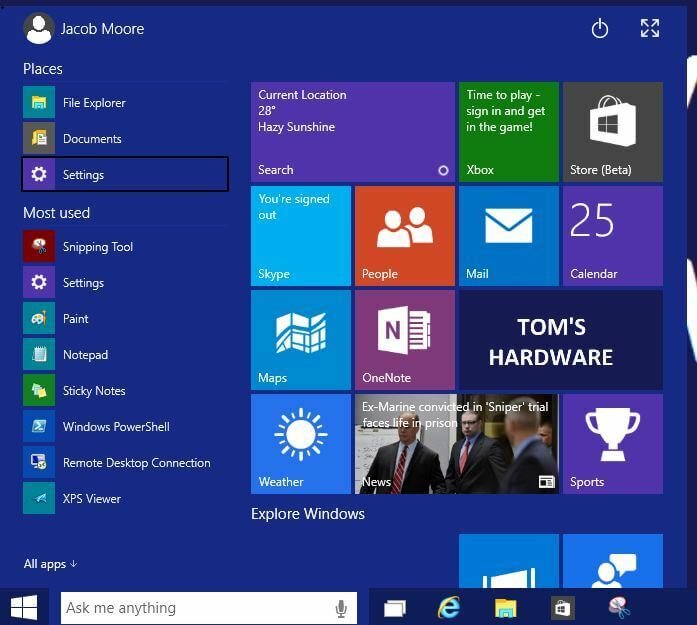 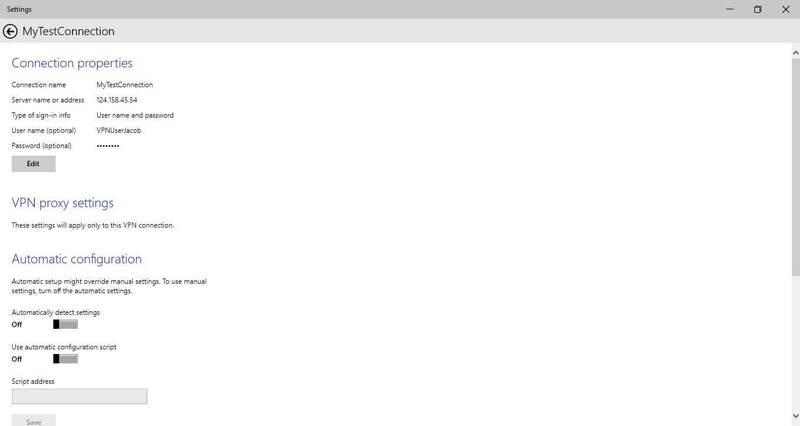 Choose “Security” tab and select “Optional encryption”. 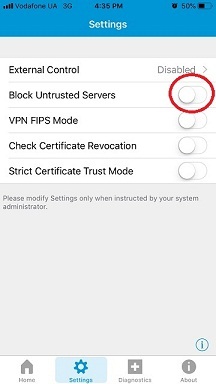 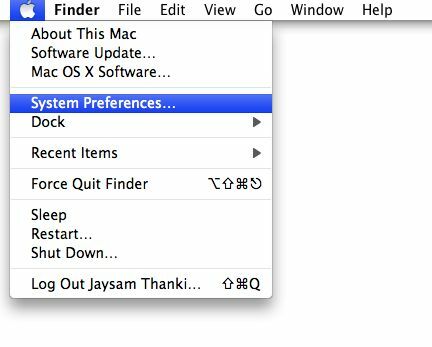 Click OK button to save these settings.